I’ve had people say some strange things to me this past week, so I feel like it’s time to clear something up. This Storm Chasing event really is a Once In a Lifetime opportunity. And when I say that, I mean: I have never done this before, and I will more than likely never do it again. May is the height of storm chasing season in Tornado Alley. May is also one of the busiest convention seasons. Mo*Con, Wiscon, Nebula Awards Weekend, MegaCon…the list goes on. I’ve had to turn down a lot of things in order to keep May 2018 clear on my calendar (and my May 2019 is already booked full, just in case you were wondering). There are a couple of definitions for Full-Time Writer. There’s the kind of writer whose books (or spouse, etc) bring in enough to make ends meet, and then there’s the kind who’s really a freelancer with 624 jobs. I write both fiction and non-fiction for paying outlets. I pick up podcast narration gigs whenever I can. I sell books online. I gather up my inventory and jump in the car with Bianca whenever she says, “I’m doing this comic con/street fair/whatever and you’re coming with me. Let’s go.” I write essays, take pictures, make baklava, and buy gifts for my Patrons. I’ve started teaching online writing workshops. And this doesn’t include the promotion, the direct mailings, the prep work for presentations at conferences and school visits, the complete overhaul of my website, all the books I must read to review, and writing manuscripts and pitches for my agent to present to publishers (on top of juggling all the publishers and published books I already have). Yes my job is “portable,” and I can do it from anywhere in the world (and have, in emergencies), but detours don’t make my to-do lists any shorter. Expensive detours —like storm chasing—don’t make my utility bills magically disappear either. So please don’t think that my upcoming Storm Chasing Adventure is just some joy ride for me, or a new way of life I’ve suddenly chosen to lead. I’m going to learn all I can and experience all I can in this unique window of time—how ever long the universe chooses it to be. I’m going to live every moment…and then sum up as many moments as I can in the Daily Storm Chasing Diary I compile for my Patrons (since they are helping to fund this trip!). I’m going to write up a million notes, and then most likely use them in a book (or twelve) down the line. I’m looking at storm chasing this May like a trip to Hawaii, or Antarctica. This is a once in a lifetime chance for me, folks. I mean to look back on this summer one day and remember all the good times I had…all the things I learned…and all the friends I was able to share it with. Remember: My Patrons will be receiving an ALL ACCESS PASS to Alethea’s Official Storm Chaser Diary and Pics! Become a Patron of the Princess today! Pledging as little as $1 a month gets you exclusive access! Disclaimer: The views expressed in these posts are mine, and based on my personal experiences. I do not speak for the greater, established storm chasing community at large. Nor should these posts be used for scientific reference. Any mistakes made here are my own. Hero starts shipping from the HMH warehouses TOMORROW. Eep! So you know what that means! 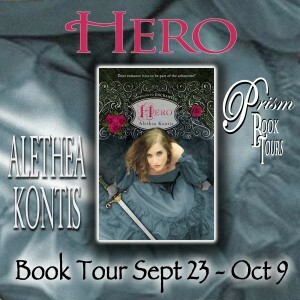 But what it also means is that it’s officially the launch of the Hero Blog Tour! This year I’m being helped by the good fairy Laura from Prism Tours to put together a stellar lineup of fun and exciting content to whet your appetite for much fairy tale goodness. 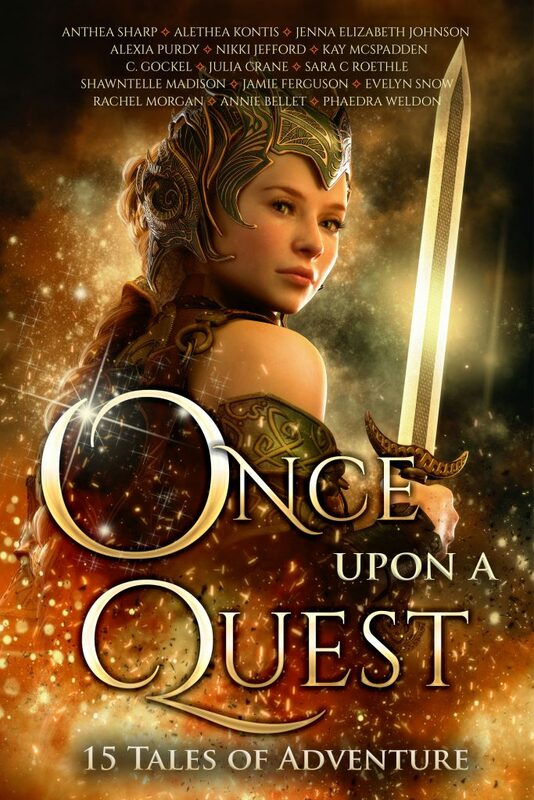 There will also be a FAIRY TALE BASKET GIVEAWAY (US residents only) that includes a signed copy of Enchanted, a signed copy of Hero, and a ton of other fun fairy tale swag from yours truly! Here’s Laura’s post with the schedule (so far) of goodness to come). And here’s the FB link to the rafflecopter giveaway, complete with all the ways to enter. A HUGE thank you to everyone taking part in the tour. It’s going to be AWESOME! Much love! And good luck!